If you’re stuck for an idea on what to give your significant other this Valentine’s Day, Mahana Spa at Tahiti Village has just the solution. Our sister property’s onsite day spa is offering price reduction specials all this month on several therapeutic treatments you and your sweetie are sure to love. Spend your Valentine’s Day in heaven with a couples’ Swedish massage for only $165 (regularly $210), or a two-person pleasure package consisting of a 25-minute facial followed by a 25-minute neck, back and shoulder massage. Experience this wonderfully relaxing and rejuvenating treatment for just $225 (a $260 value). All other facials are $20 off in February, and we are also incorporating a free peppermint foot scrub into any service. Don’t miss this wonderful opportunity to give the gift of relaxation to that special someone – for less. To schedule an appointment, please call (702) 440-6855. Mahana Spa is on the ninth floor of Tower 5 and open from 9 a.m. to 6 p.m. Sunday through Thursday and 9 a.m. to 7 p.m. Friday and Saturday. Visit them online at mahanaspa.com or under Packages on the Tahiti Village website at tahitivillage.com. 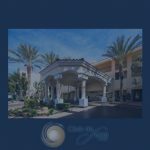 Tahiti Village is just five miles from Club de Soleil, at 7200 Las Vegas Boulevard South and Warm Springs Road.